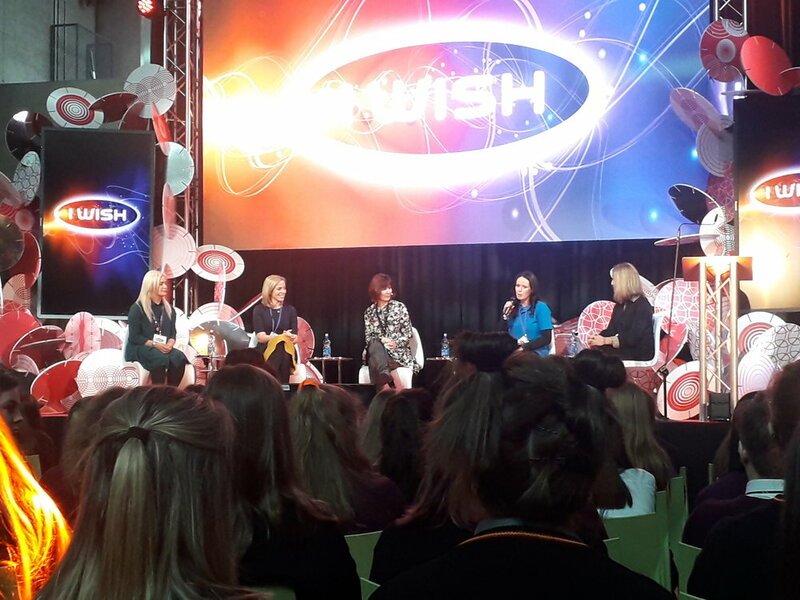 On Thursday the 7th, 40 TY students got the opportunity to attend the IWish conference in UCC. The conference was hosted by RTÉ’s Sinead Kennedy, and included speeches from women in STEM subjects. This has been ongoing for a few years now, and the programme encourages more girls to get into STEM subjects. It was very inspirational and it definitely opened a lot of people’s eyes. At the end of the conference, the winner of the IWish app quiz was announced, and that person was Zoe Hannigan of Sacred Heart who won a Fitbit, so well done to Zoe. After the conference, students got the chance to go around and have a look at the stands outside for companies such as Johnson & Johnson, Google, McAfee and many more. Everyone definitely enjoyed themselves and I think we may have some students in STEM subjects in the future!